Fans flocked to see local star Mr Havercamp up close and personal during this past weekend's Backstretch Tour at Woodbine Racetrack, where he will be seeking Grade 1 glory in the upcoming $800,000 Ricoh Woodbine Mile on Saturday, Sept. 15. Named for the Caddyshack character, the son of 2010 Ricoh Woodbine Mile champion Court Vision is owned and was bred in Ontario by Sean and Dorothy Fitzhenry. The longtime horse lovers celebrated their first graded stakes win courtesy of Mr Havercamp's impressive run in the Play the King over seven furlongs on August 25 at Woodbine. In the Play the King, the four-year-old gelding split horses down the stretch and surged to victory while proving he could handle yielding turf conditions. Following a strong debut season as a three-year-old, Mr Havercamp regrouped from a winter setback while in Florida and kicked off his current campaign defeating Ontario-sired horses in the Steady Growth Stakes on June 16 over 1-1/16 miles on the Tapeta course at Woodbine. Between both of his 2018 wins, he travelled to Belmont Park where he finished fourth in the one-mile Forbidden Apple turf stakes won by Voodoo Song in mid-July. Back at home, Mr Havercamp boasts a perfect four-for-four career record while competing over Woodbine's world-renowned E.P. Taylor Turf Course. His previous turf successes here include last year's Vice Regent and Bunty Lawless Stakes, both contested over one mile. 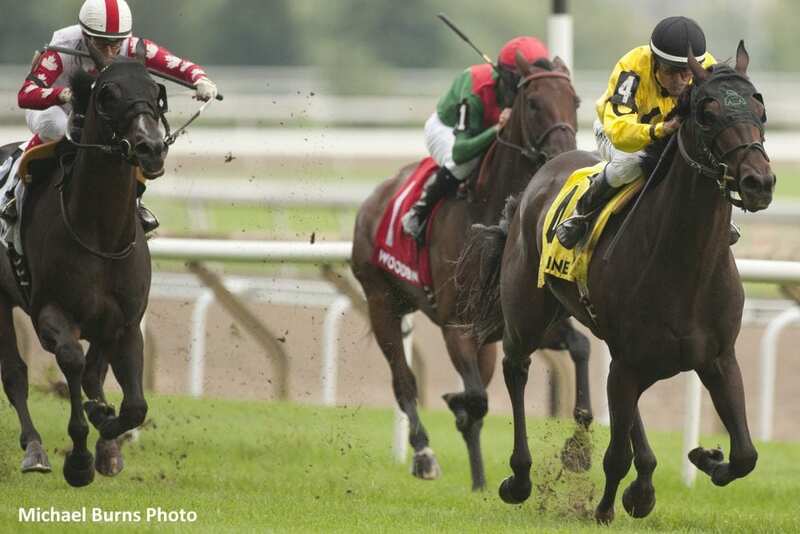 Mr Havercamp will be aiming to become the first Ontario-bred to win the Woodbine Mile in a decade since Rahy's Attorney prevailed in the 2008 edition. He will be the first Woodbine Mile starter for Day Phillips and the Fitzhenrys. His regular jockey Eurico Rosa Da Silva has competed in this 'Breeders' Cup Win And You're In' event eight times before, with his best result a second-place finish in 2016 aboard Tower of Texas. Da Silva will also ride the Day Phillips-trained two-year-old filly Artilena in Sunday's $250,000 Natalma Stakes, also a Grade 1 Breeders' Cup Challenge Series event contest over one-mile on the turf. Owned by George Philip Ledson, Braconcrest, Anderson Farms Ontario and Kingfield Racing Stable, the Artie Schiller filly is the first foal out of the unraced mare Helena's Triomphe, who is a half-sister to Grade 1 stakes winner Collected. Artilena was a runner-up in her career debut at Woodbine and heads into the Natalma off a maiden-breaking 11-length romp over seven furlongs while racing on the Tapeta track on August 22. Artilena breezed five furlongs on the main turf in :59.60 on Saturday in preparation for her stakes debut. Day Phillips is expected to have six runners in total over the Woodbine Mile weekend including the stakes-debuting mare Veil, who is set to run the $100,000 Sweet Briar Too on Saturday's undercard. Javier Castellano will take the reins for the 6-1/2 furlong main track event for fillies and mares. Owned by Andrew Rosen, the five-year-old daughter of Hat Trick has consistently finished first or second in four starts racing this year under Day Phillips' care. This entry was posted in Breeders' Cup, NL List and tagged Breeders' Cup, breeders' cup mile, catherine day phillips, court vision, eurico rosa da silva, mr havercamp, Play the King Stakes, win and you're in, woodbine, Woodbine Mile by Woodbine Communications Office. Bookmark the permalink.